Japanese automaker Mitsubishi Motors has admitted to rigging some fuel consumption tests since 1991. The admission follows last week’s revelation that Mitsubishi had falsified fuel economy data for more than 600,000 vehicles sold in Japan. The number of models affected was not yet known, Ryugo Nakao added. 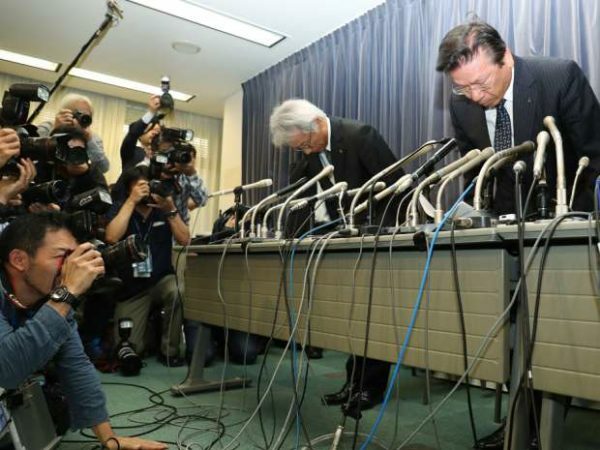 The company’s president, Tetsuro Aikawa, said an inquiry was continuing, suggesting that more irregularities could be found. “We don’t know the whole picture and we are in the process of trying to determine that. I feel a great responsibility,” he said. Mitsubishi hares fell a further 10% in Tokyo on April 26, bringing the slide since the scandal erupted to almost 50%. Tetsuro Aikawa said he did not know why employees resorted to falsifying fuel economy tests to make mileage figures seem better. The automaker had repeatedly promised to come clean after a huge scandal 15 years ago that involved a systematic cover-up of vehicle defects. The inaccurate mileage tests revealed last week involved 157,000 of its eK wagon and eK Space, and 468,000 Dayz and Dayz Roox vehicles produced for Nissan. All were sold in Japan only. The main attraction of the “minicars”, which have tiny 600cc engines – not much bigger than a large motorcycle – is their frugal fuel consumption and their tax breaks. Mileage fraud breaks Japan’s fuel efficiency laws and possible penalties were unclear due to the uncertainties about the outcome of an investigation, the transport ministry said. Mitsubishi has set up a panel of three external lawyers report on the scandal within three months. Production and sales of all the models in question have been halted.